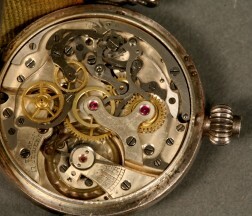 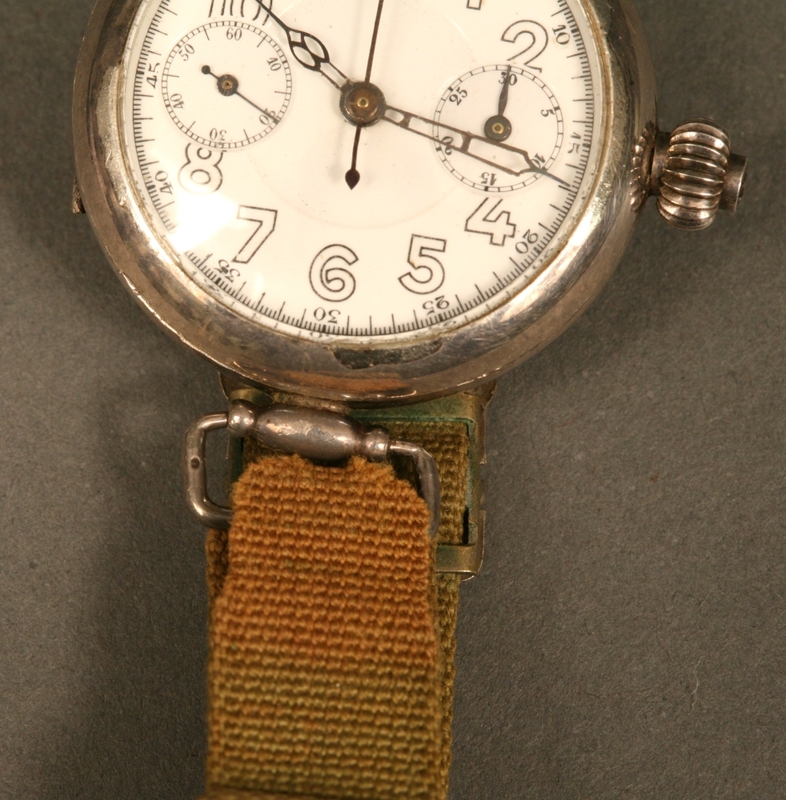 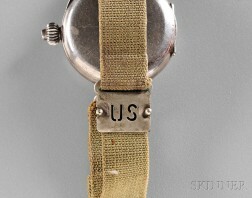 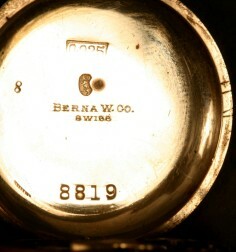 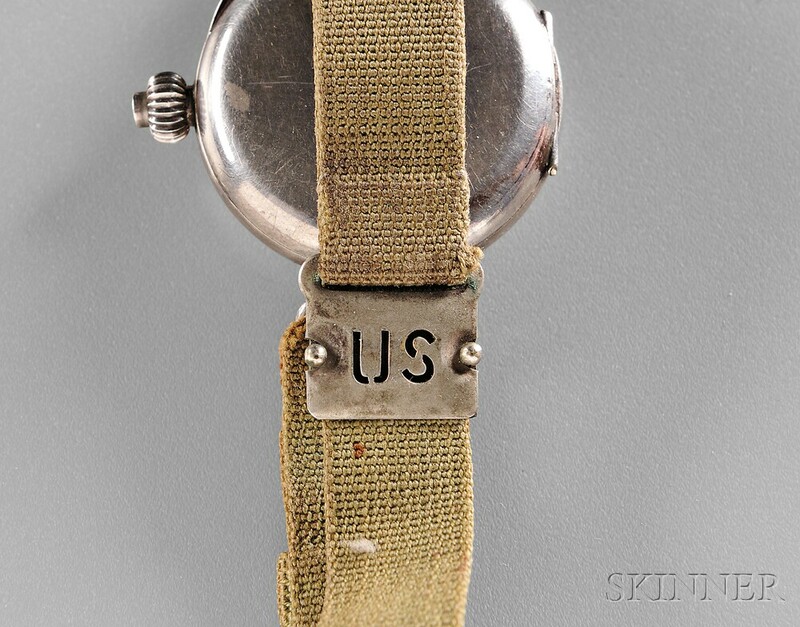 Silver U.S. WWI Trench Chronograph, Berna Watch Company, Switzerland, c. 1915, the enamel Arabic numeral dial with subsidiary seconds at 9 and thirty minute chronograph at 3, pierced hour and minute hands, center-mounted sweep split second hand, single button for winding, setting and chronograph operation, 17-jewel nickel Swiss movement, in a sterling silver case with wire lugs, army green fabric strap with metal clasp with US cut out, dia. 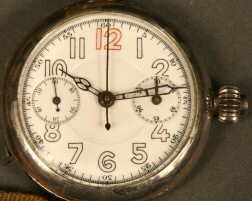 33 mm. Watch winds, sets and chronograph operates and is currently running. 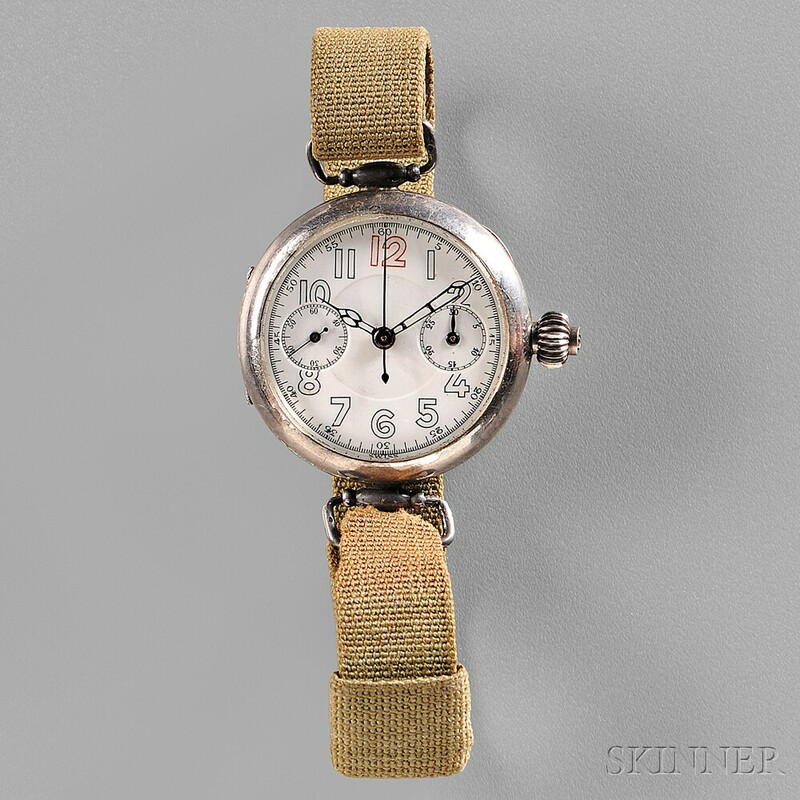 Considerable wear to the fabric strap at one lug.